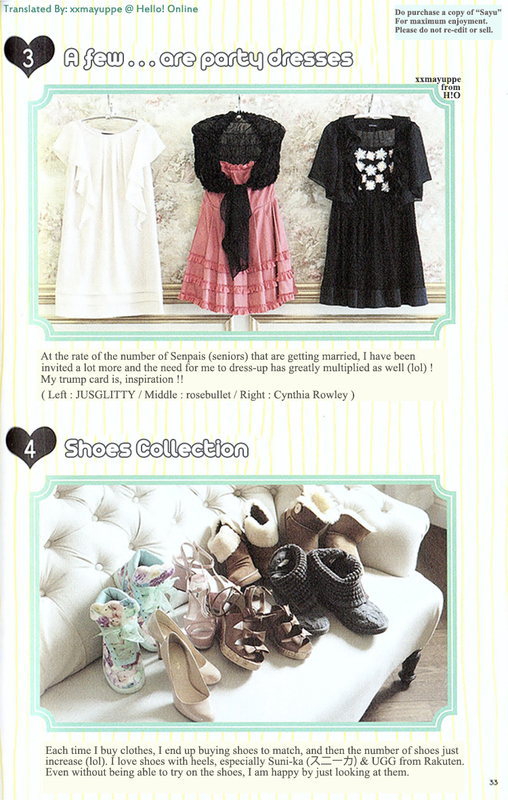 Here’s the last from the fashion coordinate category, time sure does fly by doesn’t it ? I am still wondering whether I should do translations for SayuBook’s “7 item…7 days”, so if there are a lot who are interested please do let me know and I will consider doing it. But after this, I will be moving on and will be doing Sayu’s hair & make-up section, so it’s not the last yet ! Thank you so much for translating this! I don’t know how the other readers see it, but I would very much be interested in reading the “7 item…7 days” section of the book, but only if it’s not too much trouble, of course :). I tried out the daily makeup tutorial using your translations, and it turned out surprisingly good!